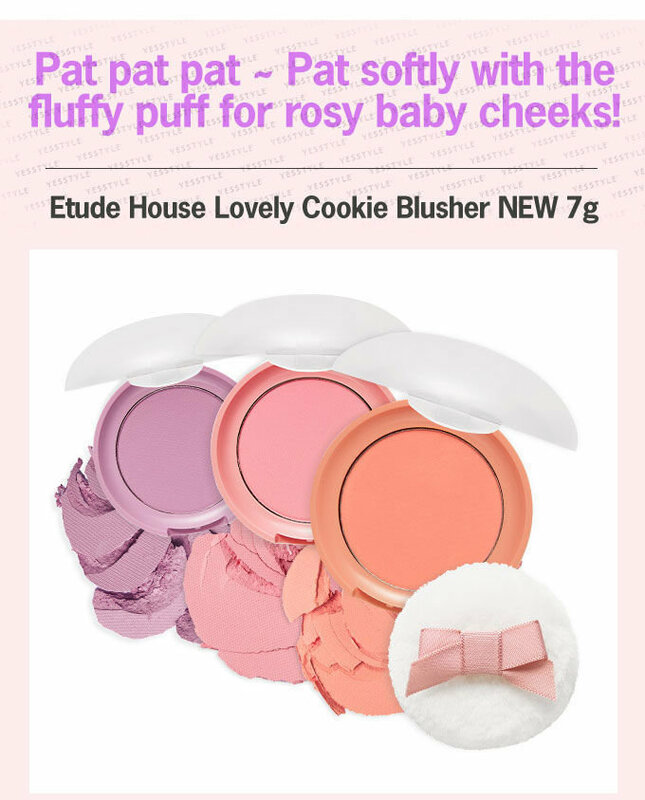 Etude House Lovely Cookie Blusher completes lively rosy baby cheeks by patting lightly with puff. 11 colors available. 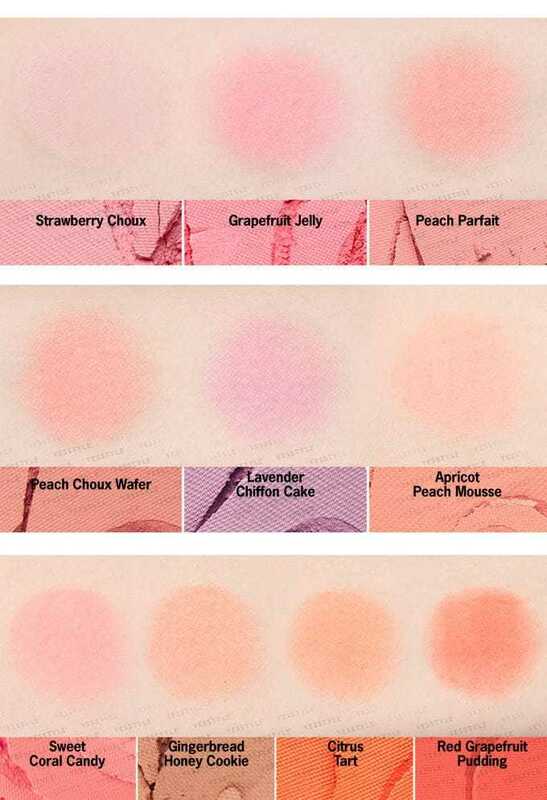 Silky soft blush translates to lovely pink or peachy shades when applied on skin. 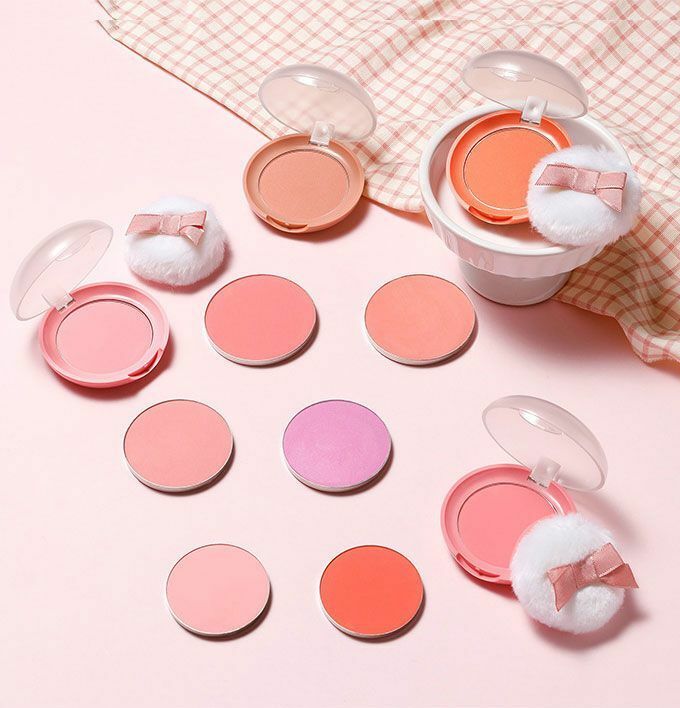 Smooth and creamy formula allows the blush to glide on with ease, giving skin a lovely, natural-looking glow. Sebum control powder minimizes shine. Fluffy applicator dispenses just the right amount of powder to create a healthy glow on your cheeks. Recommended for pale skin tones. Dab the blush 1-2 times with the included puff, then pat lightly on cheeks.